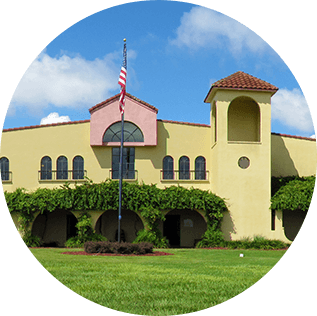 Lakeridge Winery and Vineyards officially opened in Clermont, Florida in 1989 headed by Gary Cox, as General Partner, with a small group of investors based out of Lafayette Vineyards in Tallahassee. The native varieties of the red Noble, bronze Carlos and Welder Muscadines, along with the production of Vinifera grapes including Chardonnay, Pinot Grigio, Petite Sirah and Cabernet Sauvignon are all produced at the 127-acre Lakeridge Winery Estate, with and an additional 450 acres owned at Prosperity Vineyards in the Florida panhandle, and 200 acres under contract throughout Florida. 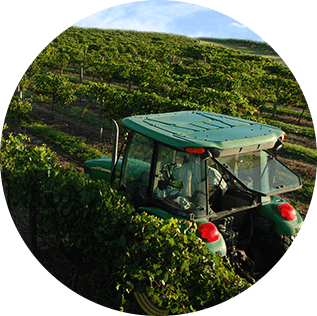 Situated among the rolling hills of Clermont, Lakeridge Winery & Vineyards offers complimentary winery tours and wine tasting seven days a week. Lasting approximately 45-50 minutes, the tour includes a brief audio-visual presentation, along with a guided walking tour of the facility, followed by the chance to experience a taste of Lakeridge’s unique premium wines. Wine enthusiasts then have the opportunity to browse the large gift shop featuring all Lakeridge wines, gourmet food selections, and wine accessories. Lakeridge Winery is the largest winery in Florida, with sister winery San Sebastian ranked a close second. 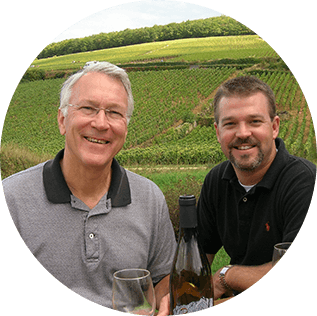 Both wineries are now structured under the private corporation, Seavin, Inc., with Gary Cox as Founder, Board Chairman, Charles Cox as President, Carole Cox as Secretary, and Mandi Enix as Treasurer. The family has always had a strong commitment to produce quality wine, while providing a fun and educational experience for everyone and continues to remain Dedicated To Your Good Taste. Tours usually run every 15 minutes and begin in the upstairs theater to view a brief video presentation. You’ll learn how to make Florida wine – from growing Florida grapes to the wine making process and the finishing of bottling and labeling. Your Tour Guide will then show you along a cat walk to view the production area and then outside to the balcony to see the spectacular view of the vineyards where the grapes are grown and harvested. The Wine Tasting is held downstairs at the large tasting counter. 7 varieties of award winning wines ranging from dry to sweet with sparkling are usually offered. The winery tour and wine tasting lasts approximately 45 minutes. Gift Certificates: You can purchase any denomination of gift certificate, from $15 - $500 and more, either at the Winery or over the telephone. If you are not sure what to buy that special person, the gift certificate makes an ideal present for your friends and family. Gift Baskets: Planning a special gift for a special person? The winery's experienced staff are always more than happy to take your custom gift basket order, tailored to your individual tastes. Just stop by or call ahead and you will be pleasantly surprised by the excellent presentation of a gift basket full of your choice of gourmet items and wine. Prices to fit any budget. © Copyright 2019, All Rights Reserved Seavin, Inc.